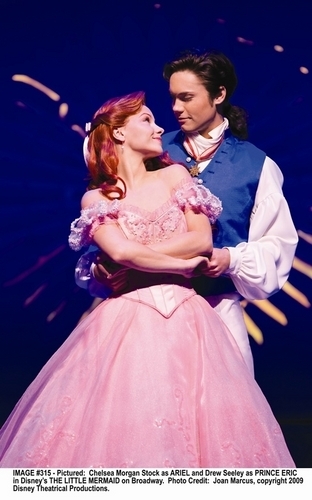 Ariel & Eric-Broadway!!. Drew Seeley as Eric and मॉर्गन Stock as Ariel...NOT obc.. HD Wallpaper and background images in the Ariel and Eric club tagged: pink dress the little mermaid 2009 broadway disney ariel prince eric. O.K. Ariel is pretty but the Eric is not him.